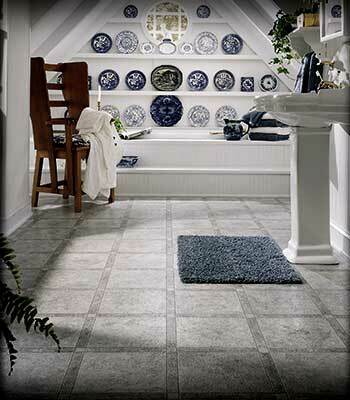 Vinyl flooring has come a long way since we knew it as linoleum. The technological advances have allowed for more durability than ever, along with added ease of maintenance. Like anything else, waterproof flooring (or resilient flooring) has varying degrees of quality and choosing the right waterproof flooring is largely dependent on its application. At Georgia Floors Direct, our manufacturer-trained staff will help you to choose the waterproof flooring that makes the most sense for you. We carry all the major brand names. Sheet Vinyl Flooring is manufactured as one solid, continuous piece of flooring that comes in a large roll, allowing for a seamless installation. 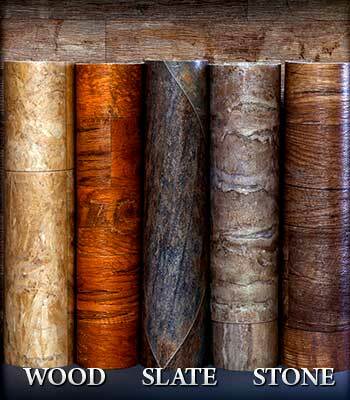 It has been around for decades and is still one of the most popular types of flooring around. Budget-friendly and low maintenance, Sheet Vinyl flooring is manufactured much in the same way it always has been, yet the styles and technologies have evolved with the times. You’ll have modern flooring with a real tile or wood look, without the joints or spaces of vinyl tiles that can trap dirt or moisture. Unlike the competition, Georgia Floors Direct has DOZENS of rolls and sections in stock on our showroom floor for you to choose from. With so many styles to choose from, we have options to complement any décor. 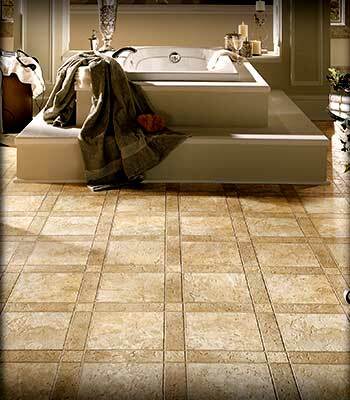 We have the greatest selection of waterproof flooring available! It’s the hottest flooring on the market! Known for its realistic natural wood and stone styles, durability and waterproof capabilities, waterproof flooring has become sought after and is now the number one selling floor across the country! Waterproof flooring gives home and business owners alike a wood alternative that is all-around less fussy and easier to care for. Waterproof Flooring is like the new laminate on the wood-look flooring scene. Previously used in more commercial spaces, waterproof flooring is very popular for new homes, remodels and house flips. Homeowners are falling in love with waterproof flooring’s perfect combination of style and versatility. The solid vinyl core makes up most of the flooring. This high-density core layer is moisture resistant, durable, and built to last. 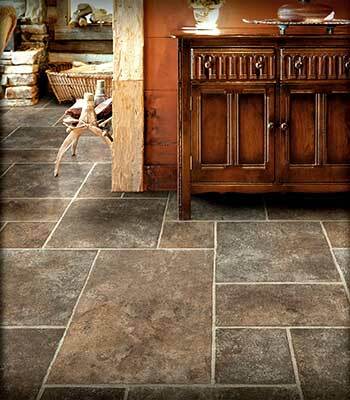 Gorgeous photo imagery makes the waterproof flooring look identical to natural stone and wood. Your waterproof flooring protector. It helps protect your floor from dents, scratches, etc. The thicker the wear layer, the better your floor is protected.